Mark your calendars for the return of the Historic Downtown Jersey City Farmers’ Market on April 29, 2019. Councilman Solomon will also be at the Farmers Market on opening day to distribute reusable bags. Look forward to fresh produce, organic goods, delicious and handmade food items, and the return of your favorite vendors, favorite local businesses, and new vendors every Monday and Thursday from 4-8 PM. The Historic Farmers Market is conveniently located right outside the Grove Street PATH Station. The Trucks are Rolling in and we are ready to celebrate Cinco de Mayo on May 4th in the Urby Parking Lot. Tickets are $5 at the door, kids under 12 are free. Please stop by our table at Mother Earth Festival to learn how to make reusable bags from old t-shirts. We’ll have all you need to make your bags as long as you BYOT (bring your own T). Learn a new method for creating your own bags while also up-cycling old textiles (unfortunately one of the hardest materials to recycle). Making a bag should only take about 5 minutes! Don’t miss an opportunity to pet a goat while you’re here. Join WORD Jersey City for an interactive storytime with Alexandra Davis, author of Lumber Jills: The Unsung Heroines of World War II. There’ll be tree cookies, costumes, a Timber Corps workout, and coloring. Please note that there is a $5 admission fee for this event. Your $5 ticket can be purchased online or at the door; online orders will be available for pickup at the store on the day of the event. Your ticket functions like a gift card and is good toward $5 off anything in store at WORD on the day of the event, including A Fistful of Drawings. If you purchase A Fistful of Drawings directly from WORD at the event or via pre-order there is no need to purchase an event ticket. Hey Jersey City moms and dads, are you looking for something unique to do with the kids? Then bring your little ones to Barcade. They’re having another FAMILY DAY at Barcade. Bring your kids to their Jersey City location on Sunday, April 14th, from 12:00PM-5:00PM. Join the fun for a kids menu, arcade games, and fun for the whole family. *(NOTE: Jersey City is the only Barcade location having this event that weekend. All children must be accompanied by a parent or guardian). Manhattan Building Company, developer of The Cliffs Collection on Jersey City’s Hoboken border, has unveiled modernized amenities at the five-story building and delivered a long list of inspiring wellness facilities and resort-style recreational and social options that perfectly complement its luxury loft-style condominium homes. The upgraded amenity package is one-of-a-kind on New Jersey’s “Gold Coast” having been designed to promote a significantly healthier lifestyle by incorporating elements of Blue Zone Living which emphasizes a balance of diet, good habits and social engagement to initiate healthier, happier and longer lives. Blue Zones are geographic regions worldwide where residents share common lifestyle traits. 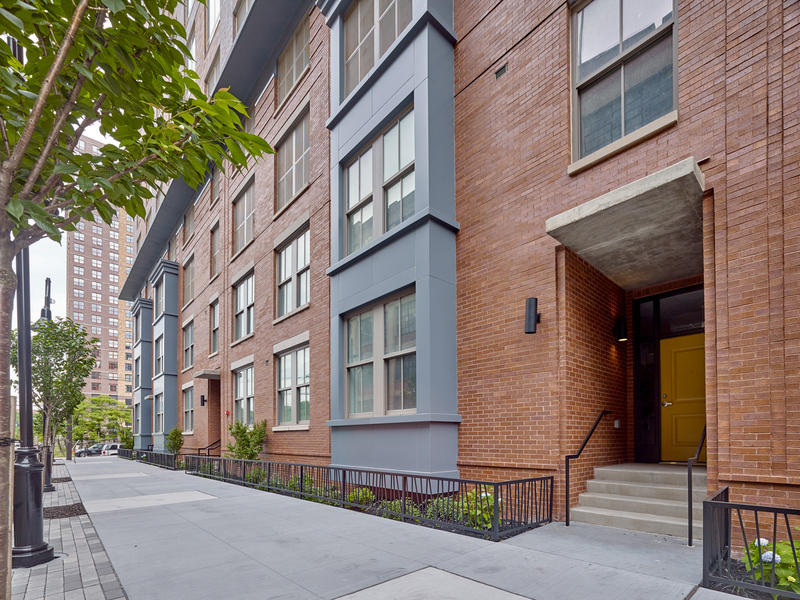 The Cliffs Collection maximizes its location just blocks from all the entertainment, dining, shopping and more that line Hoboken’s lively Washington Street and Newark Avenue retail corridor. The 2ndStreet Light Rail Station is also steps from The Cliffs Collection, providing convenient access to both downtown Jersey City and uptown Hoboken. An on-site sales center and fully-furnished model home are open and available to tour at The Cliffs Collection. For additional information or to schedule a visit to tour the building, please visitwww.thecliffscollection.com or call (201)-222-0920.